Bodies be hittin' the dance floor in more ways than one. The Ballad of Gay Tony opens the doors to three of the city's most exclusive clubs: Bahama Mamas, Maisonette 9 and Hercules. Both Masionette 9 and Hercules are owned by Gay Tony, and Luis (the straight man to Gay Tony's outrageous persona) is responsible for keeping things under control at both locales. Where evolution stops and the party starts! Algonquin's premier club venue for relentless party tunes and fist-pumping steroid beats. Middle-aged, married men - please take note: You will not be allowed in. (Unless you order triple bottle service with sparklers). A private venue for after dinner drinks catering exclusively to members and their friends. If you did not know that, you are very unlikely to get in. 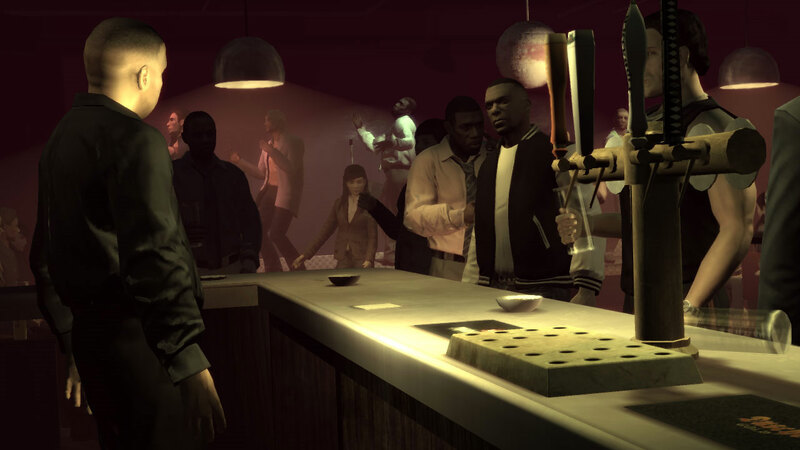 Located in Algonquin, Liberty City - but if you have to ask where beyond that, you are definitely not our sort of person. Founded in 2003 by Liberty City's 20-year reigning king of nightlife, Tony Prince. Accept no substitute. Hercules, the original Muscle Mary. A slice of Olympus here on Earth. Dance with the gods while Rome is burning. 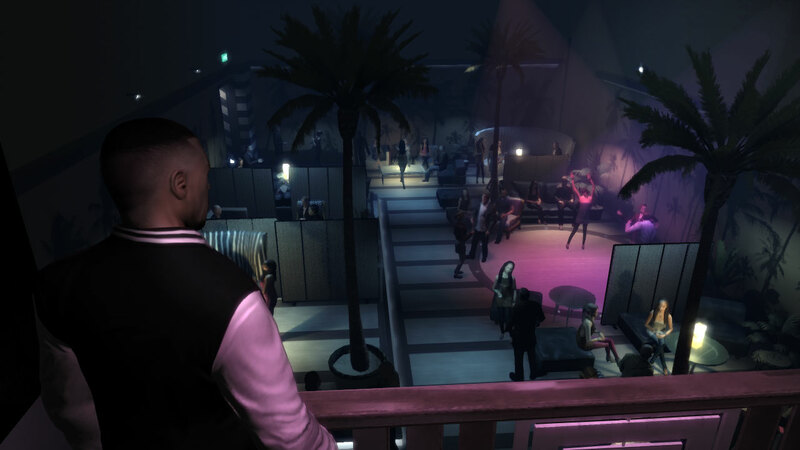 Part of legendary Liberty City icon, Tony Prince's party empire, Hercules is a final bastion of hotness in these tepid times. Young and old unite as desperate revelers cling on to a once proud scene. 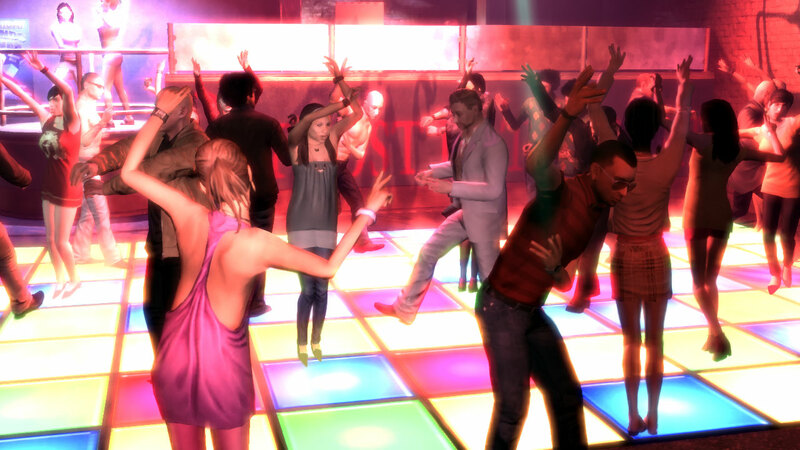 Ah, the quintessential element to any proper nightclub. No "evening out" would be complete without it, after all. The ladies bump n' grind with strange men they've never met, claiming innocence as they protest "I'm so drunk right now, I don't even know what I'm doing!"... it's so magical. Mash those buttons with your fingers of fury, gentlemen - the hotter your moves, the greater the score! Open your throat and deep it in the VIP area of Maisonette 9. Between champagne-showers and the almighty Chug-a-Thon, you'll swear that you've died and gone to Frat House Heaven. And remember: Jagerbomb. Jagerbomb. Jagerbomb. JAGERBOMB! 1.) Working as security to kick out ugly people, old people (anyone over 25), miscreants and any woman that refuses to give you her number. 2.) Working as the go-to guy for clientelle, who are usually ugly people, old people (over 25), miscreants and women that refuse to sleep with you. Hence so many missions involving bullets whizzing in your direction. * In-game experiences may vary.